For fast, reliable Electrolux appliance repair service in Calgary and Area, call Appliance Service YYC today. We employ trustworthy and knowledgeable appliance technicians who can bring your Electrolux fridge back to life! Electrolux refrigerators are among the top brands of appliances and have been around for almost a century. Even though they are built with great quality and care, problems can arise, and Appliance Service YYC can help! Non functioning fridges are a big inconvenience for any family, as we depend on them daily. At Appliance Service YYC we understand that, so we provide same day refrigerator service and repairs In Calgary and surrounding areas. If your Electrolux fridge is showing similar issues to those mentioned above, call our refrigerator help line at 403-879-0967 and schedule an appointment today. Electrolux fridges are state-of-the-art products designed to exceed performance, design and durability expectations. It is easy to see why consumers choose Electrolux fridges for their home. 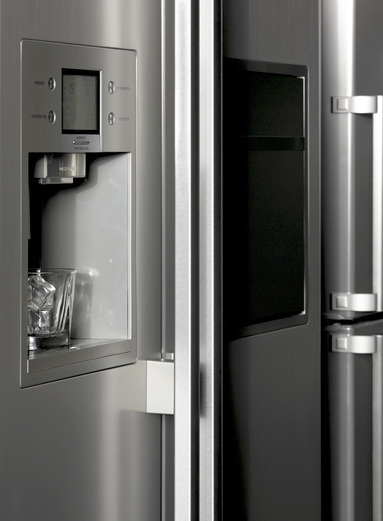 Appliance Service YYC offers a repair warranty on your Electrolux fridge repair. When you choose Appliance Service YYC for your repair, your service call is free and you receive a full warranty on your repair. This includes parts and workmanship. We guarantee you will be happy with our service. Contact Appliance Service YYC at 403-879-0967 for a free over the phone Electrolux Fridge Repair Estimate in the Calgary and area today or Book online!